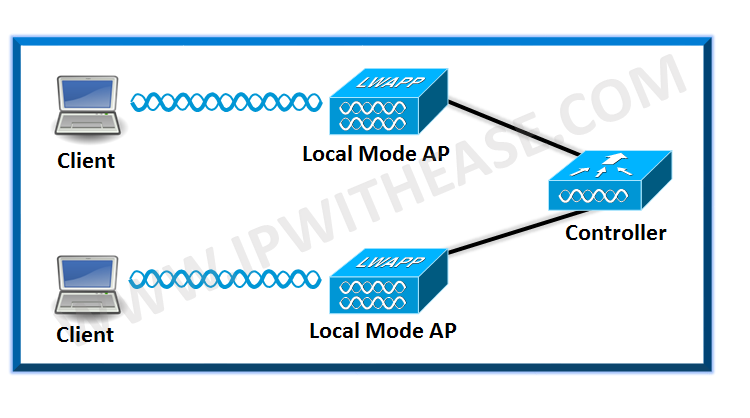 Flex-connect mode -This is a mode where AP join the controller but switch data packet locally.In this mode AP and controller could be or could not be on same site. Flex connect mode with we can have more resiliency as even if we loose connection to controller. AP continues serving the existing associated clients. Sniffer Mode – It is the mode required to take over the air packet captures. 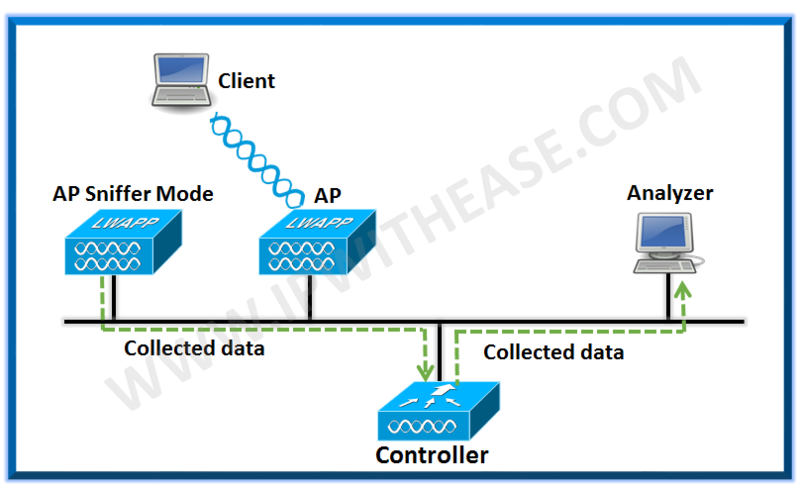 In this mode AP listens the communication between nearby client and AP.To capture the traffic AP listens on specific channel. We need to set the AP in sniffer mode. Monitor Mode– AP in this mode is dedicated for scanning the rogue devices all the time. This can only detect wireless rogues devices. In monitor mode AP does not serve the clients. 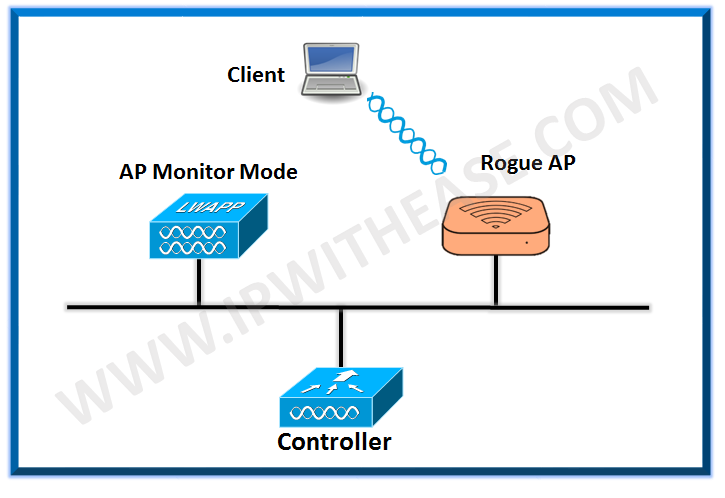 Rogue Mode– This mode is also for detecting the rogue devices on wired network. This AP connects to wired infrastructure using trunk port and listens for all the traffic coming from all vlans.If there is any mac address declared as rogue device by another AP than this AP reports it to controller. And it can also trigger the alerts for rogue devices.